Every so often, humanity comes up with great ideas. The plug-in hybrid electric vehicle (PHEV) is one of them, and here’s why. PHEVs allow sustainable personal travel without compromising freedoms. At the same time, they provide the missing energy storage required to get the most out of the intermittent renewable energy sources such as wind and solar power. PHEVs, primarily charged by nuclear power and intermittently by renewables, literally provide a vehicle to wean us of our oil addictions by providing domestic transportation energy. Plug-in hybrids are cars that have an electric motor and a gasoline engine. Unlike most current hybrids, plug-ins can get energy from plugs in your garage as well as from the gasoline. The gasoline engine would only turn on if you ran out of electricity between charges, whereas in today’s hybrids, the gas engine must always turn on after a set number of miles to charge the batteries. What are some problems with PHEVs? PHEVs will strain the current electric grid, requiring more power plants to be built. If nuclear power plants are built, the environmental impacts of PHEVs will be much less than if coal plants are built. The ability of the grid to handle PHEVs is a current research topic. Because they have internal combustion engines and transmissions, PHEVs are heavier than pure electric vehicles. 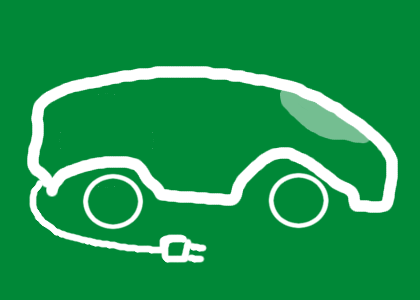 Therefore, pure electric vehicles could get more miles per charge than the hybrids. PHEVs still require some gasoline. With advanced batteries and computer controls, PHEVs will probably be more expensive than standard cheap cars. PHEV + Nuclear power = sustainable, domestic, extremely low-carbon, wind & solar enhancing, long-distance capable transportation for all. Plug-in hybrids drastically reduce the amount of oil we need. Since the average daily commute is less than 30 miles, the vehicles would run off of electricity (generated from domestic coal, nuclear, renewable energy, etc.) for the vast majority of the time. Long trips are still an option. Unlike pure electric cars, these vehicles will have ranges comparable to today’s fleet. These trips will, of course, require gasoline. If the wind is blowing at night, windmills could store the energy in the cars. Then, the energy that would have been wasted is used for transportation. Plug-in hybrids could also send stored electricity back to the grid with so-called Smart Grid technology. If the grid demands high peak power and there are a large number of PHEVs plugged in while parked, the cars could act as the energy reservoir. This stabilizes the electric grid, reducing the need for standby natural gas generators. You would get credits for all the electricity your car provided. Even when the PHEV is running on gasoline, it can make use of standard hybrid technology, such as regenerative brakes to charge the batteries, maximizing efficiency. In its worst performance, a PHEV will act as today’s hybrids. A New York Times writeup on some PHEVs that should be on the market in 2010.